Part of the show Are you Addicted? Pain is one of the largest research areas in neuroscience today. It represents a large portion of the pharmaceutical industry's interest and poses a huge challenge to research scientists. Scientists are interested in exactly how pain works: how it is signalled and perceived by the brain, and significantly how we can intervene in this process to deliver relief to chronic pain patients. 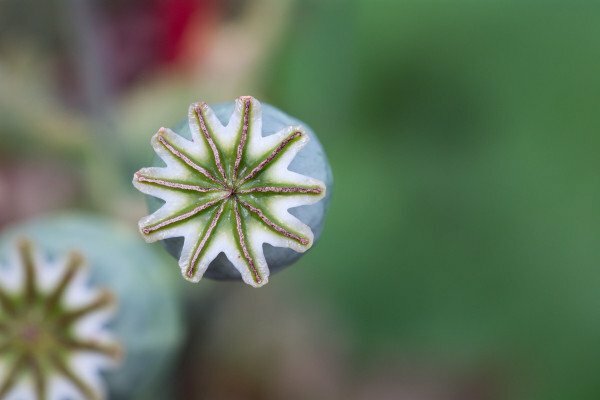 One of the most widely used analgesics is morphine, which is a so-called opioid because it is derived from the opium poppy plant. Morphine acts on proteins in the nervous system called opioid receptors. Drugs like morphine bind to these opioid receptors and activate the body's natural pain-suppression system. The problem is that morphine has a large range of side-effects, things like tolerance, which occurs as your body adapts to the drug and you need more and more of the drug to achieve the same level of pain relief. Morphine is also highly addictive, which makes it a potentially dangerous drug, despite the fact that it is the gold-standard for pain relief. Because of these dangerous side-effects scientists are determined to find new drugs that give the analgesic effects of morphine, but don't produce side-effects like tolerance and addiction. This has been the aim of a group of scientists from the University of Michigan Medical School, in collaboration with pharmaceutical companies, who have published exciting data a, in PNAS this week, about several new drugs they have identified. These compounds act at the same opioid receptor that morphine does, but bind to a different place in the protein. This makes them more selective than other drugs and could result a reduction in the side-effects seen with other drugs. What makes these drugs particularly useful however, is that they aren't able to activate the receptors on their own, they require the presence of other molecules, like the natural endomorphins in the body or drugs like morphine before they will work. These drugs could therefore be used in combination with lower doses of morphine or even as a natural enhancer of the body's pain relief system. This could help to reduce side effects and also could help to simply enhance natural pain relief. This study is obviously only the first stage in a long process of drug discovery, but the results are encouraging! Previous Is sibling rivalry a bad thing? Do we only use 10% of our brains?